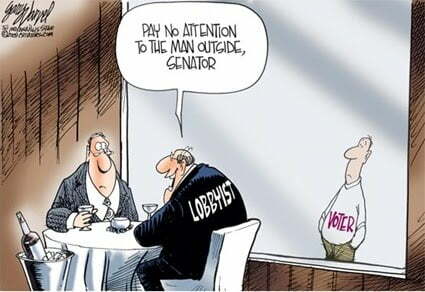 “Lobbyists at Work is a must-read for anyone interested in the serious business of government. Leech’s probing questions reflect her years of research tracking the real impact of money and influence on policy. I saw the term Regent’s Row in the latest article by my favorite AJC writer James Salzer. I have written numerous articles on the Georgia Board of Regents so I was intrigued and began a search on this term. There isn’t a lot out there, but I did manage to find two posts with some pasted articles on some obscure discussion boards. One article from 2011 and another from 2007. There was no link to the original sources and I could not find the original articles anywhere at the AJC site or I would’ve simply linked to their website. It appears at least to have been deleted from the AJC website entirely which often happens on older stories. But, this information was too valuable to remain deleted so I decided to revive Mr. Salzer’s excellent articles as nothing has changed and Regent’s Row begins their new campaign to bribe our politicians for money with free tickets to games and other goodies. Even though these articles are a few years old you can rest assured nothing has changed besides a few names of the people involved. We have a new chancellor, some new vice-presidents or attorneys at the BOR and other new faces but the system in place hasn’t skipped a beat. Both of these articles need to be read and understood by the people of Georgia. I imagine few voters had any idea that our public universities employ the largest army of lobbyist of any group in the state. Now it all begins to make a lot more sense why the good ol’ boy system at the USG and BOR are so broken and in shatters. I have a link on that photo to the left of a great book that explains how corrupt lobbyists run the American and also our state government on behalf of moneyed interests.It is a real eye opener and a must read if this subject appeals to you. Just click the photo to see the book on Amazon. The idea that a state agency is paying millions to lobbyists to lobby the state of Georgia should outrage any reasonable person. Instead of paying lobbyists, how about they use those funds on the colleges and students instead? Until politicians no longer are reliant for lobbyist to run campaigns this level of corruption will continue to infest our entire political process. There is a very good political cartoon at the bottom that is very much on point and reminds me why Je suis Charlie. The University System of Georgia and its schools long ago recognized the old adage that it takes money to make money. That’s especially true at the state Capitol. Several years ago one wall of chairs in the room was dubbed “Regents Row” by reporters because it’s annually filled with University System lobbyists. The Board of Regents oversees the system. While the University System complains about the impact budget cuts are having on the classroom, it employs the largest and most expensive team of public lobbyists at the Capitol. Part of that team’s job is to keep money in the budget that’s recommended by the governor, and get more for the system and its schools if possible. An Atlanta Journal-Constitution review of state records shows the system and its 35 colleges had about 20 staffers who lobby at the Statehouse this session, excluding visits by college presidents. That team was paid about $2.5 million in 2010. By contrast, the 25-college public technical school system has one lobbyist at the Capitol. The University System group spent about $40,000 on legislators’ meals, gifts and event tickets during the session, which ended with colleges losing about $170 million in state funding amid a third consecutive year of cutbacks. Schools also spend big in Washington trying to get more money out of Congress. Washington lobbyists reported $300,000 in pay and expense money from University System of Georgia schools and foundations during the first quarter of 2011, according to federal reports. System officials say none of the meals or gifts they provide lawmakers come out of the taxpayer’s pockets. The schools have fund-raising foundations, and those foundations pay for what lobbyists spend on gifts. The system says it needs the lobbying muscle at the state Capitol to fight for state funding, provide the system’s point of view on legislation and answer questions from lawmakers about what’s going on at its campuses. Even with cutbacks in recent years, the University System gets the third largest chunk of funding of any state agency. Only the Department of Education, which funnels most of its money to local k-12 school districts, and the agency that handles Medicaid have bigger state budgets. With more than 40,000 staffers, the system employs more than 40 percent of state workers. The system’s universities and colleges enroll more than 300,000 students. To defend that, the system’s central office coordinates a strategy to keep lawmakers informed, support the governor’s higher education budget proposal and make sure legislation doesn’t hurt its schools. The system has its own team and at least a dozen colleges registered their own staffers to lobby lawmakers at the Capitol. Private colleges in Georgia, such as Mercer University, also have (privately funded) lobbyists at the Capitol, and public colleges in other states send lobbyists to their statehouses when their legislatures meet. Georgia university lobbyists have full-time jobs with duties besides lobbying. They provide advice on policy issues all year and their lobbying work at the Capitol is only part of their job, albeit an important one. The presidents of some schools also make visits to the statehouse during sessions to tell lawmakers their priorities. Before the session, in the fall, they entertain state leaders and talk to them about each school’s mission. They also provide lawmakers with $30,000 a year or so in football tickets and stadium meals. University of Georgia lobbyists pay the full freight for some lawmakers to attend its bowl game. University System Executive Vice Chancellor Steve Wrigley, who until recently was UGA’s vice president for government relations, which includes lobbying, reported spending at least $6,000 last year to send Athens-area lawmakers to the Liberty Bowl in Memphis. Former UGA lobbyist Chris Cummiskey, now head of the state’s economic development agency, reported spending $17,000 for “Legislative Day,” when the Bulldogs beat up on Idaho State in Athens. Most of what they spend goes for meals, sports tickets and promotional gifts. Georgia State spent more than $3,000 on GSU umbrellas. A group of schools pooled their money and spent more than $2,500 on a dinner and reception for lawmakers who handle college legislation and budgets. During the final days of the session, when leaders hold budget negotiations, they meet in a room on the fourth floor of the Capitol. Several years ago one wall of chairs in the room was dubbed “Regents Row” by reporters because it’s annually filled with University System lobbyists. The Board of Regents oversees the system. Before each session, Regents officials present their budget proposal to the governor and the governor recommends to lawmakers how much the state should spend on colleges. It’s part of the lobbyists’ job to make sure lawmakers approve the governor’s recommendations. However, the lobbyists have also historically worked key lawmakers to add multimillion-dollar construction projects to the budget after the governor makes his recommendations. One of the kings of doling out freebies at the Capitol isn’t some smooth-talking lobbyist for the utilities, doctors, developers or drug companies.Over the past 2 1/2 years, Tom Daniel,seniorvice chancellor for external affairs with the University System of Georgia, has reported spending about $139,000 on lawmakers, according to documents filed with the State Ethics Commission.Daniel was far and away the top spender among lobbyists in 2006 and was third biggest spender during the 2007 session, records show.He stands a good chance of regaining his top status during the second half of the year, when the system typically hands out thousands of dollars in football tickets to University of Georgia and Georgia Tech games.Daniel and the system have a lot at stake: $2.1 billion this year, plus about $245 million in construction projects, some added on by lawmakers late in the session.His disclosure report includes money spent by his colleagues from several public schools in the system. So many university system employees routinely show up to represent their schools’ interests at annual budget conference committee meetings that the area where they camp out is called “Regents Row,” after the University System of Georgia Board of Regents. Those employees have only recently begun registering as lobbyists. Daniel, who has been with the system since the early 1980s, said the money the team of lobbyists spends on meals, game tickets and gifts to legislators comes from donations to the system, schools, and their foundations, not from tax money. However, he is paid by the state, as are the 17 other system staffers who have registered to lobby. “These events give me, the chancellor, the University System and other individuals associated with the system a chance to spend time with legislators away from the Capitol,” said Daniel, who was paid $167,000 last fiscal year, according to state audit records. Joe McCutchen, an Ellijay retiree who publishes a newsletter promoting fiscal conservatism, said he was outraged to find the system at or near the top of the lobbyist list. “It’s ridiculous. I think it ought to be stopped,” he said. McCutchen, a Georgia Tech grad, questioned why the system needs to spend so much lobbying when it is a state agency. Lobbyist disclosure reports show the system spent $22,496 in January, the first month of the session, just on meals for legislators. A large chunk of that went for big, annual events put on by the schools, such as the University of Georgia. And some of it went for meals with groups of lawmakers, including House Appropriations Chairman Ben Harbin (R-Evans) and his Senate counterpart, Jack Hill (R-Reidsville), two men who play a major role in writing the budget. System lobbyists also gave out basketball tickets to lawmakers. During the session, Daniel and the system spent about $38,000. Only the Savannah and Metro Atlanta chambers of commerce spent more. The Savannah chamber and Convention and Visitors Bureau spent its money on its annual “Savannah Day” reception for lawmakers and staff. The Atlanta chamber lobbyist’s big expense, almost $47,000, went for radio advertising on a bill advocating a regional sales tax for transportation improvements, according to disclosure reports. The University System came out ahead during the session. Besides the more than $200 million in construction projects recommended by Gov. Sonny Perdue, lawmakers added another $26 million in system construction and building renovations. A few of those additional projects were vetoed by Perdue. Lawmakers also backed a budget that increased state funding for the system by about 9 percent. Some of the most important schmoozing is yet to come. Last year, the system doled out almost $14,000 in football tickets, according to Daniel’s disclosures. One of the top recipients was House Higher Education Chairman Bill Hembree (R-Winston). Disclosures show Hembree received about $1,300 in tickets during the football season. He got tickets for five Georgia Tech games as well as the UGA-Tech game and the Chick-fil-A Bowl. Hembree said tickets were to view games in the boxes of the school presidents, where he was able to discuss the priorities of school officials. In some cases, he took constituents to games as guests, he said. “In the big picture, I think it’s important for them [schools] to communicate with us,” Hembree said. Hembree said while he is chairman of the committee that oversees the university system, his business schedule doesn’t allow him the time to attend meetings of the system’s governing board, the Board of Regents. So football game gatherings give him a chance to talk to school officials about system issues. “The way I look at it, as chairman of the committee, I feel it is my responsibility to find out what the needs are in the university system,” he said. State Rep. Dan Lakly (R-Peachtree City), said that shouldn’t take a room full of taxpayer-funded lobbyists and $139,000 in legislative freebees. He said the legislature should review the practice. Lakly argues that taxpayers shouldn’t be paying to have lobbyists come to the Capitol to lobby for more state spending. Daniel said University System lobbying is about informing legislators, and he added that the receptions, tickets and other gifts don’t buy their support. “I don’t think that any legislator makes decisions about the budget or legislation based on what events we do or do not have,” Daniel said. “What we are attempting to do is keep the line of communications open.